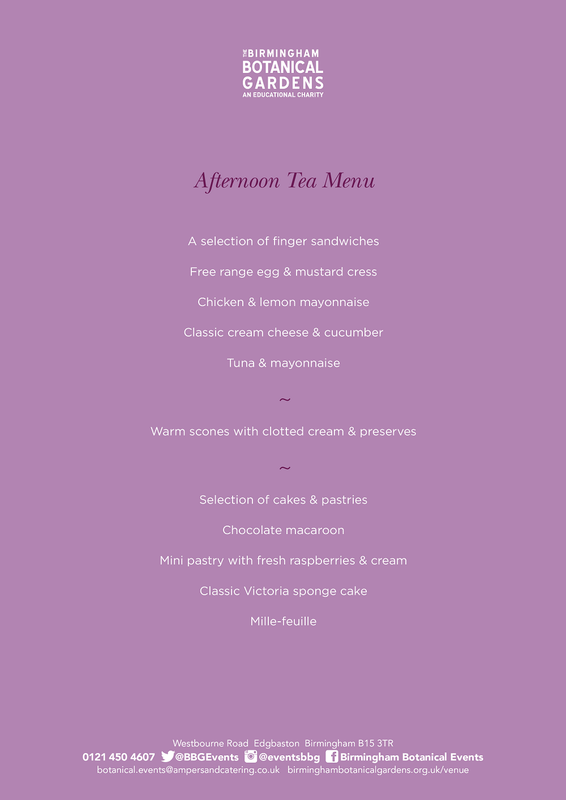 Join us for an elegant afternoon tea, set in the quintessentially British grounds of the Birmingham Botanical Gardens. 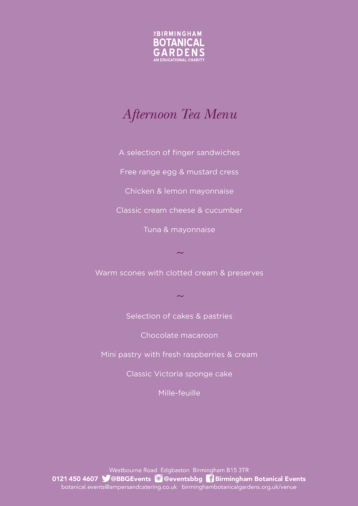 Our traditional three tier afternoon tea features a selection of finger sandwiches and scones, finished with dainty cakes and pastries. 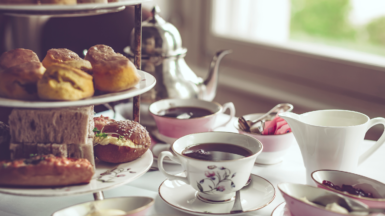 Bookings include access to the stunning fifteen acres of botanical gardens and glasshouses. To find out more about allergen information and dietary requirements please speak to a member of the team.